Do you have a hidden gem disguised under old material? 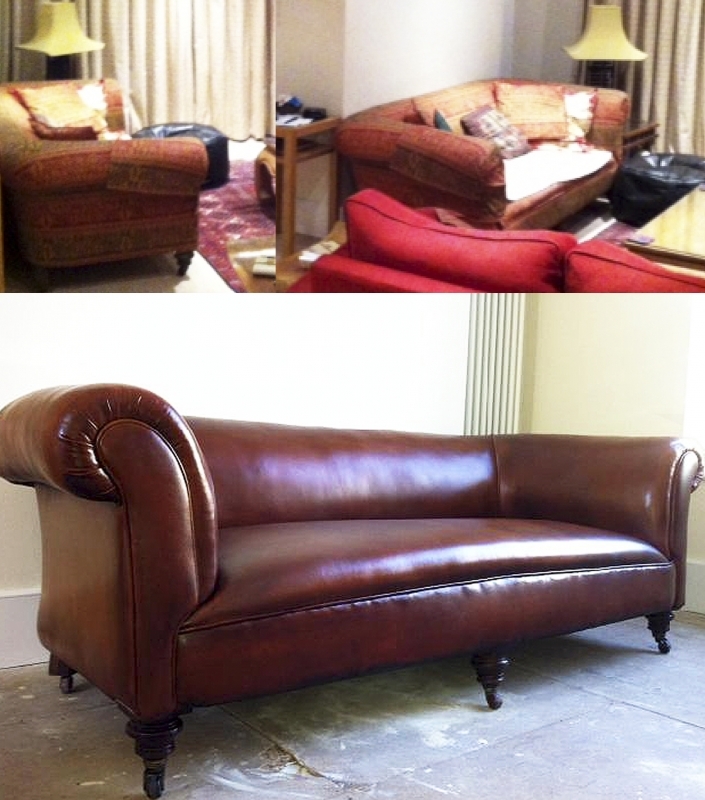 We frequently find that clients have well made pieces furniture that can be given a new lease of life with reupholstery. 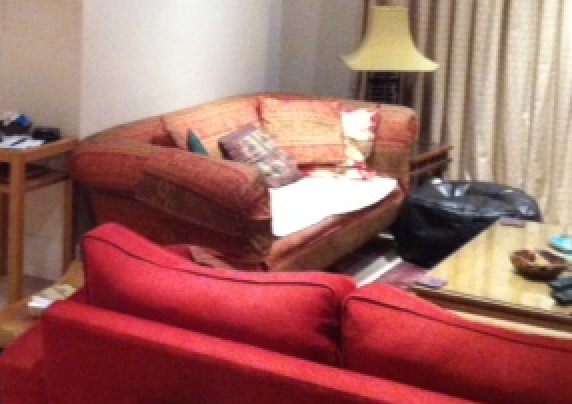 We were particularly pleased with the result on this sofa that one of our London clients had. 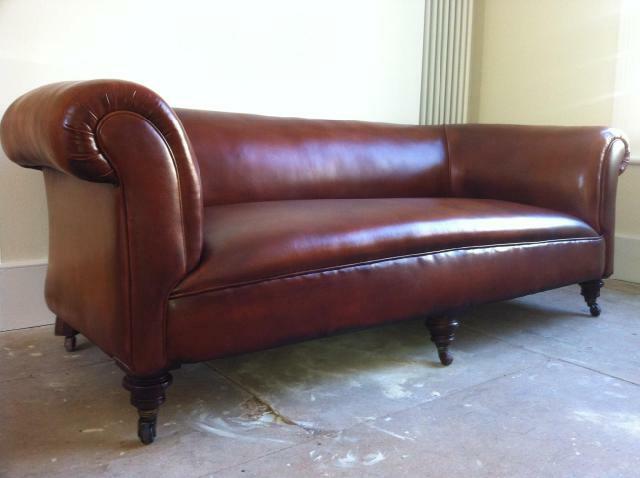 We reupholstered it in an antiqued leather and polished up the legs. 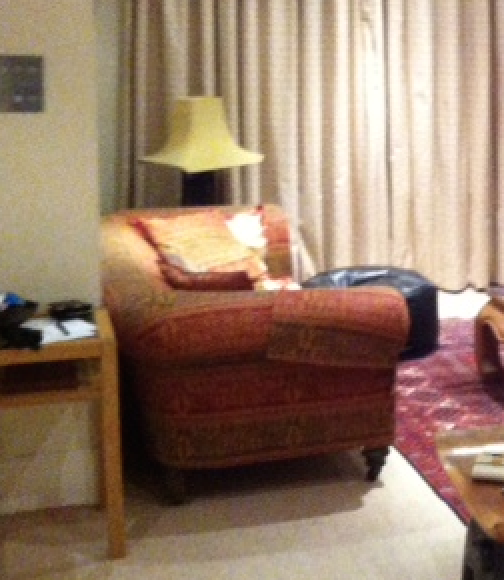 Unfortunately we don’t have many before and after shots of the finished room but here is one of the other end of the long living room. 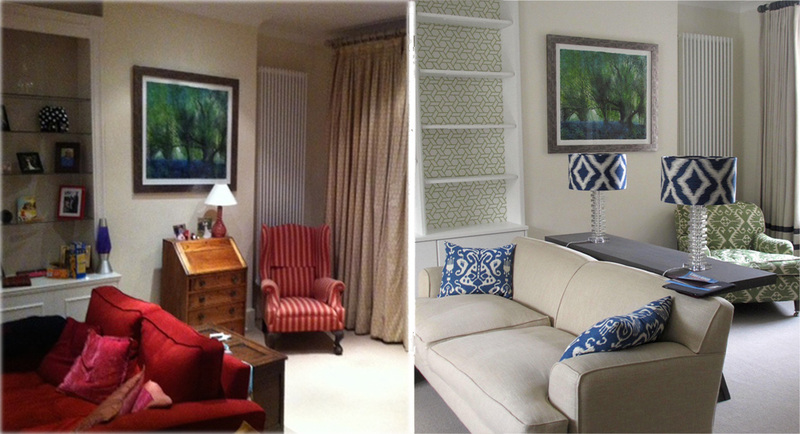 Our clients wanted an individual stylish room for their London town house. We picked the colours out of their painting and used it in our choice of fabrics.